This summer’s transfer season marked the return to Euroleague for one of the most notorious superscorers we have seen in Europe during the last years. 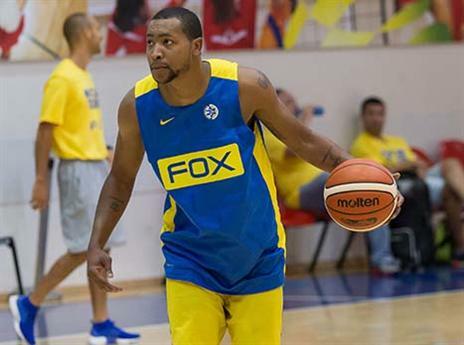 Andrew Goudelock introduced himself to the continent’ top level of basketball in 2014 when he joined Fenerbahce. He had come from splendid debut season overseas with Unics Kazan with which he was named Eurocup MVP. It didn’t take him long to become an instant favorite player among fans of the Turkish team. And how couldn’t he be? His killer instinct and enviable ability to fill the basket with ridiculous ease, the lethality of his offensive game and the record-breaking bombardments of “enemy ranks” were drooling-quality stuff of the highest order. He finished the season with an average of 17 points (shooting with a solid 50% from the field) per game in Euroleague, making the All-Second team of the competition. However the fans’ love towards a guy who massively helped Fener reached the first Euroleague Final Four in the club’s history, would soon turn to ash. Especially when it became known that he wouldn’t continue in the team. The fence between him and Fener fans who previously adored him had been broken to an unmendable state. They felt that his departure from the club on the completion of the 2014/2015 season was his choice. According to the American guard, things transpired quite differently. Before signing with his new team, Maccabi Tel Aviv, the 27-year old ultra-gun was also considering the possibility of joining Galatasaray. The arch-rival club of Fenerbahce. Goudelock was also unsettled by the terrorist attack in Istanbul’s Ataturk airport and paid attention to the political turmoil in Turkey. Something which indubitably affected him quite a bit and in more ways than one. Having spent some important moments of his professional and personal life in Turkey, he was obviously deeply shaken with these incidents. You don’t want to see this kind of stuff happening to anybody. But since I lived there for a year, it upset me extra. Living around Turkish people who are such nice people. Thinking that I’ve been in the airport so many times. You know my first son basically spent the first year of his life in Istanbul. So yes, it was something that I hated seeing. Ultimately, Goudelock picked Maccabi, the 2014 Euroleague champions as his career’s next destination. The club aims towards some extremely high goals in the upcoming season, especially after a failing on all levels during the previous year. The revamped roster of the Israeli team doesn’t include only star. Sonny Weems also opted to make his return to Europe by penning a deal with the “Yellows” after an NBA return that was far from succesfull. Meanwhile, Quincy Miller arrived in Tel Aviv from a breakthrough season in Euroleague with Crvena Zvezda. There are also other skilled offensive ballers like Victor Rudd (ex Nizhny Novgorod) and D.J. Seeley (ex Gran Canaria). Although they play in different in positions, they share one key characteristic. They crave having the ball in their hands in order to create scoring situations. They want to be the protagonists, the squad leaders and carry a big load of responsibilities and duties. How can a harmonious on-court coexistence be achieved, and what is the way around building a desired chemistry within the team? Andrew Goudelock is filled with optimism. And he knows that the key to success doesn’t lie only on how players are communicating with each other on the floor but away from it as well.